Dental students are faced with an array of operative procedures; understanding and the development of competence in their use is demanding. This text aims to detail and justify the basic principles involved in operative procedures with the intention of reinforcing understanding and improving clinical skills. Direct and indirect restorations and endodontic procedures are addressed. 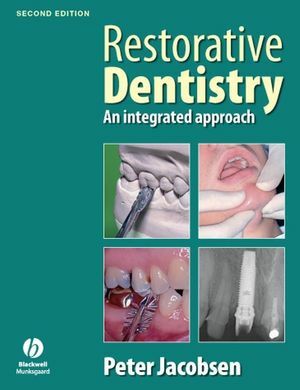 Not only for the student, this book is also designed as a source of reference for all practitioners who carry out restorative dentistry and are faced with the introduction of new materials and techniques. Referral to this text and evidence-based practice will assist the clinician in the appropriate selection of newer approaches to the delivery of modern day care. Dr Alison Qualtrough and Dr Julian Satterthwaite of the University Dental Hospital of Manchester, UK. Dr Leann Morrow and Professor Paul Brunton of the Leeds Dental Institute, UK. Examination of the dentition - Occlusion. Examination of the dentition - Charting. 2. PRINCIPLES OF DIRECT INTERVENTION. Supplementary retention for direct restorations. 4. ENDODONTICS - FURTHER CONSIDERATIONS. Restoration of the root filled tooth. 5. PRINCIPLES OF INDIRECT RESTORATION. 6. INDIRECT RESTORATIONS - FURTHER CONSIDERATIONS. 7. MAINTENANCE OF THE RESTORED DENTITION. Introduction – what is evidence based practice. Identifying and defining relevant questions. Implementation of research evidence and evaluation of its application. "[This textbook] contains a large chunk of endodontics. 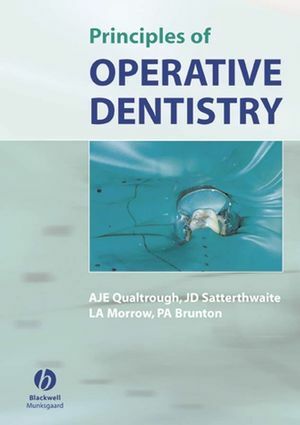 It is not, though, confined to root canal therapy as this book is all about the various types of operative or conservative dentistry...the procedures described within the book are certainly vital and commonplace to most dentists. 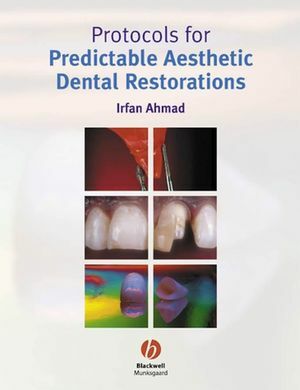 Although aimed initially at students, this is a book most dentists would find useful since it covers some of the latest instrumentation and techniques and includes a final chapter on evidence-based practice." BDA News Vol 18, No 12.